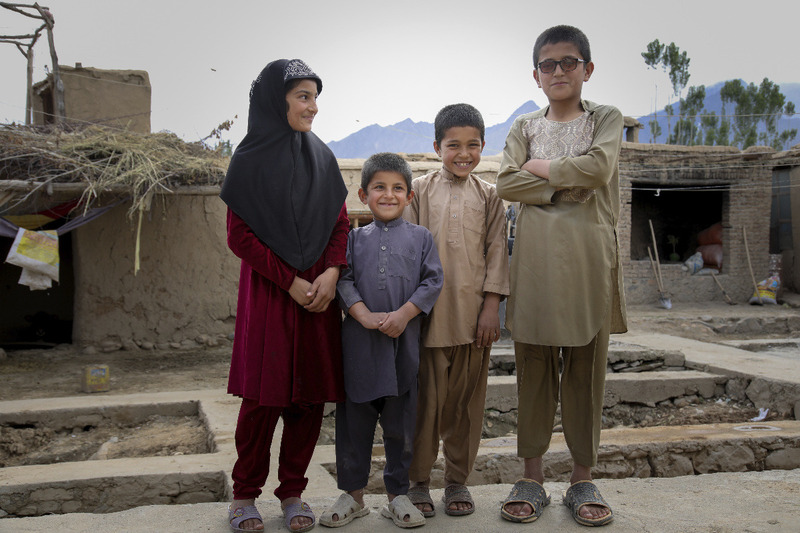 Shabnam, Karim, Najib, Hafiz and Zia are siblings who lost their father (and sole provider) while fighting against terrorism in Afghanistan. Since the loss of their father almost a year ago, they have been in the care of their grandmother who has been collecting food from neighbors in their village to help feed her grandchildren. This family's loss has broken their hearts and bankrupted their ability to buy food. Due to their loss, the mother and grandmother both suffer from depression. The only piece of luck that is on their side is that they own their home. When HBT received word about this family's desperate situation, these children were short of falling prey to child labor and begging on streets in order to help their family survive. HBT members gave financial support and a promise to help these children get back to school and continue their education. As many of you know it is the children who suffer most in war. We ask you to please help us educate these children and countless more just like them. Help us fight for every child's right to education. Help us give hope to the hopeless and empower them to dream of becoming doctors, engineers, and future leaders. Help us enroll as many poverty stricken children in schools as possible. The list is long and our mission too great of an importance for the future of not only the children but for Afghanistan and the world, at large. Help Build Tomorrow (HBT) helps poverty-stricken children achieve a brighter future via education. HBT is a non-government and non-profit organization based out of Woodbridge, VA. We are a group of professionals working in the DC area aiming to change the lives of poverty-stricken children and those who are involved in child labor by taking them off the streets and enrolling them into schools. We believe education is the only solution to ending poverty. HBT is not only a 100% volunteer-based organization but its members regularly reach into their own pockets to help change the lives of these innocent children caught in unfortunate circumstances. The volunteer members of our organization offer their expertise, time, and money. This means 100% of your donation will go directly to turning children street beggars and child laborers into becoming students and working towards building their future. HBT has been granted a charity organization status by the United States Government. Winston Churchill once famously said, "We make a living by what we get. We make a life by what we give." 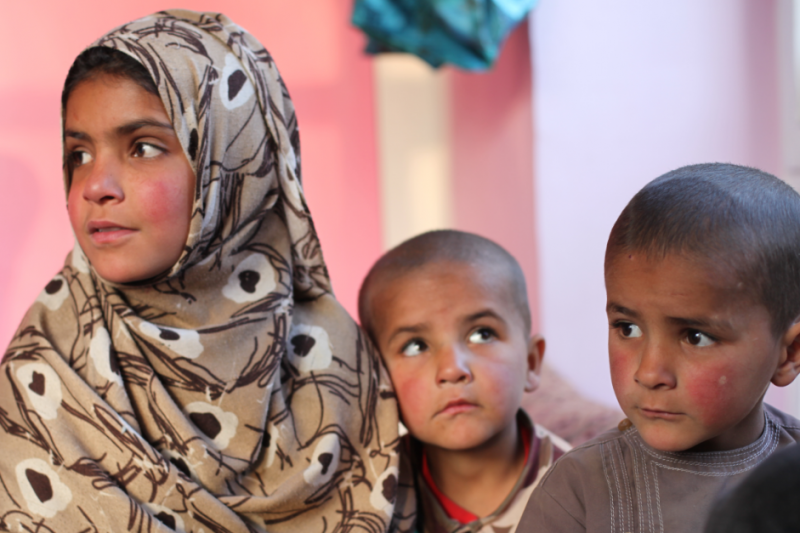 Anees Gul lost her husband in a suicide attack. She was left with 6 children to raise. Anees can’t read or write. Since the loss of her husband, her children have stayed home because she had no means to send them to school with. HBT came to rescue her children’s today and tomorrow. 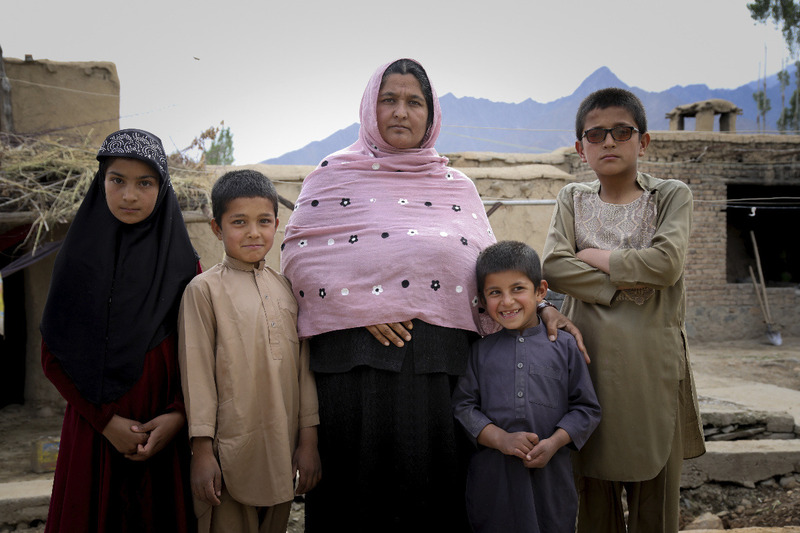 Her children are now enrolled in school, thanks to the supporters of HBT. Give love to receive love.